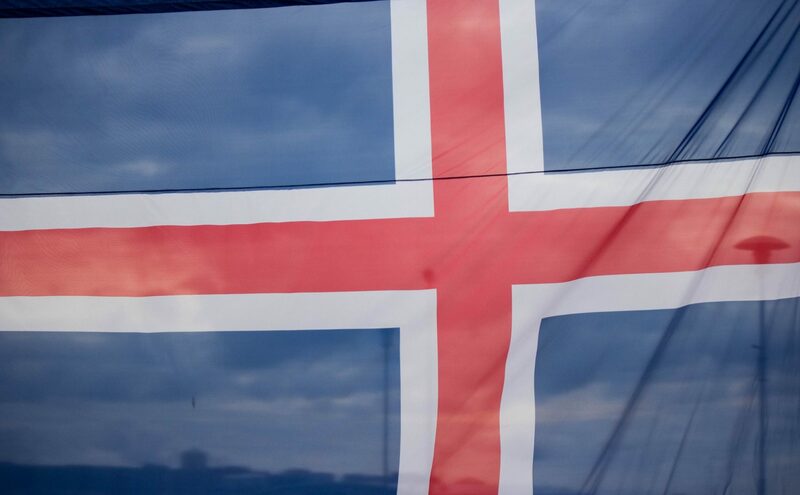 Being apart of the Scandinavian countries, Iceland has many wonderful neighbors and just how we like to preserve our Icelandic heritage, there are several other clubs and communities of Scandinavian decent that like to do so as well. Watertown Sons of Norway, in Watertown, SD, is a club that is very proud of their Norwegian heritage and recently they have been wanting to learn more about their neighbor countries. 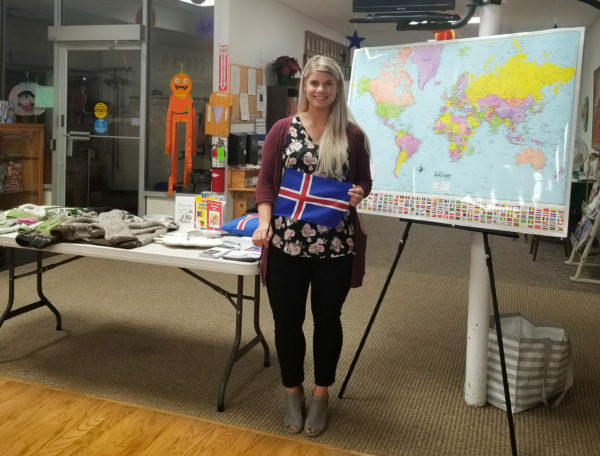 Last Thursday, September 21, Linda Frey, (filling in for the INLNA president Sunna Furstenau), shared information about her home country, Iceland. Linda enjoyed elaborating about the beauty of Iceland, the customs and culture of the people, and stories of her own. 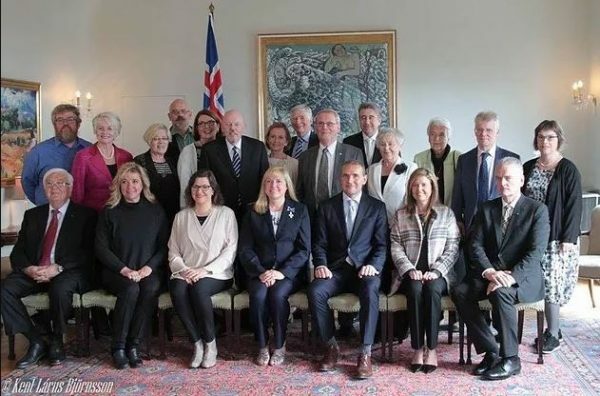 Linda was proud to share how our Northeastern Icelandic community holds firmly on to those Icelandic roots, preserve the history of the beloved Icelandic settlers and instill the ways of an Icelander around the community. She was welcomed by many wonderful Norwegians, their great stories and treated with refreshments in good company after the presentation. Linda says Takk fyrir mig or like our neighbors say, Tusen takk for meg! 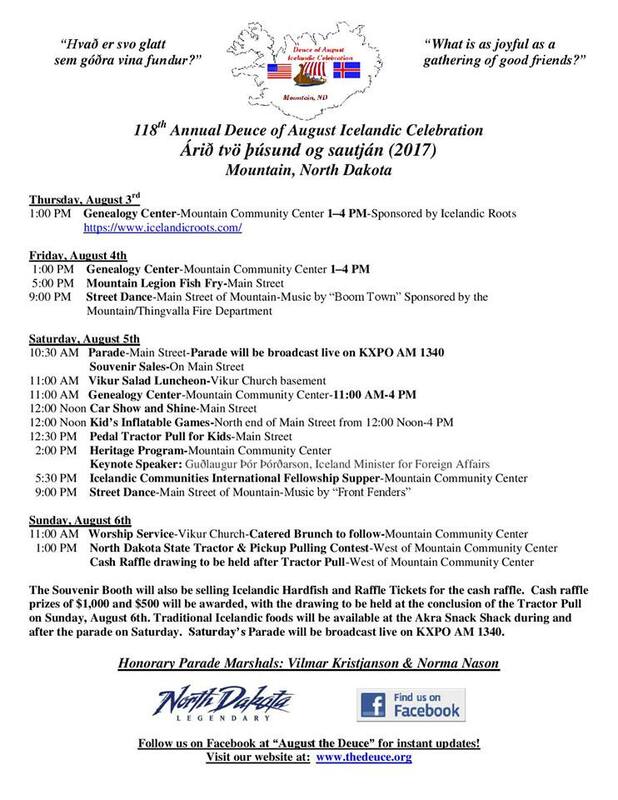 Come and join us for the 118th Annual Deuce of August Icelandic Celebration! August 3rd – 6th. Come out and celebrate your Icelandic heritage with plenty of Icelanders and people of Icelandic decent. Not of Icelandic decent? Not a problem, you can pretend to be one for the weekend – we are sure you will fit right in! Here is the schedule for the fun weekend ahead!